Under the EB-5 Investment Visa programme, an applicant receives a conditional green card on making a minimum investment of $5,00,000 in the United States. 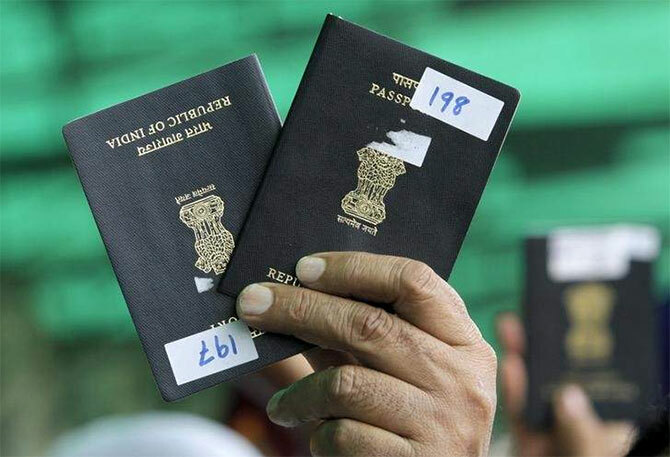 In view of the unsettled nature of H-1B employment visas and the long wait for applicants that exceeds 10 years, EB-5 visas have emerged as the best bet for Indian families aspiring for US green cards, a US immigration lawyer has said. Stating this at a press conference in Chandigarh, US Investment Immigration Attorney Vaughan de Kirby, whose firm has successfully represented over 1,300 EB-5 applicants, said these visas are the answer for enterprising Indians as one qualified investment can result in a green card for the applicants, their spouses and children under 21 years of age. "With the United States EB-5 Investment Visa programme is set to expire on September 30, 2017, applicants making a rush for EB-5 visas should act cautiously and guard themselves against fraud by following a step-by-step approach and engaging a Securities and Exchange Commission (SEC)-licensed Securities Representative. "Only then can the investor be assured of true third party diligence. There have been frauds in some EB-5 regional centres," said Kirby, a seasoned law expert. The applicant then has to create 10 jobs for US citizens, after which he gets a permanent green card. Elaborating on the advantages of EB-5 visas, Kirby said that while the processing time for EB-5 category is just 18 months for Indian citizens, these visas offer employment at more competitive wages which are freely negotiable rather than dictated by the employer. “Given the uncertainty of travel restrictions, a green card is the best protection. If freedom to travel, work and live anywhere in the US is what you are looking at, an EB-5 green card is just the right thing for you provided you keep the do's and don'ts in mind," he said. Touching upon the critical steps that EB-5 visa applicants should follow, Kirby said, "Comprehensive background checks on all regional centres are a must. "The applicants should ensure that the proposed project has entitlements for the project they propose and find out whether the necessary jobs can actually be created and if the investor is also protected against default." DeMo: How much cash was deposited?